Mat Flint was in Revolver back in the Nineties, and then in Death in Vegas after that. He's also the guy behind Deep Cut. And while the band's name might suggest something in the house vein, the group's newest album, out now on Gare Du Nord, is a superb shoegaze offering. 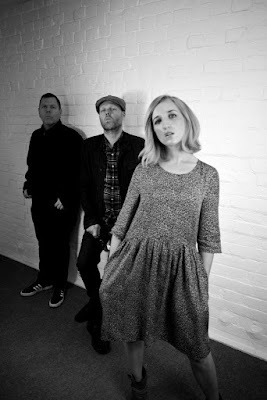 Recorded in 2015, Different Planet features tunes that recall the best moments from Slowdive or Lush. Vocalist Emma Bailey leads the purring "Still Counting" to glory, while the lighter and brighter "Hanging Around" made me think of not only the already-mentioned Lush, but Dubstar. Elsewhere, the excellent "Swimming Against The Tide" soars, thanks in no small part to the drums of the ubiquitous Ian Button, and the bass of Mat's brother, Simon Flint. The cut is a catchy creation, as is the tight "The Last Goodbye", and for a band clearly invested in the shoegaze form, the players rarely get lost in a wash of effects. All the cuts here are expertly played and elegantly composed and Different Planet really surprised me. I liked this record a lot, even as I had to acknowledge to myself that the album is a bit of a throwback. Still, there are worse things than being compared to the releases from the best bands of the Nineties. If Deep Cut seem to owe huge debts to earlier acts, they at least manage to make this sort of material feel fresh again. That almost all of Different Planet is infectious and fun to listen to helps too. Different Planet by Deep Cut is out now via Gare Du Nord Records. More details via the label's official Facebook page.